Esterline CMC Electronics and NovAtel Inc. have entered a new strategic partnership, extending their collaboration in GNSS positioning technology that started in the late 1990s. 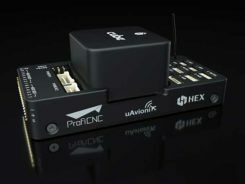 The partnership will see NovAtel’s GNSS measurement technology integrated into a new Esterline CMC-designed multi-constellation, multi-frequency chipset for certified aviation use. 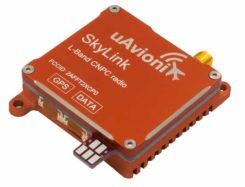 The DO-254 Level A certified chipset will allow both companies to develop new GNSS receiver solutions for use in a variety of safety critical applications, including DO-178C Level A certified products designed for commercial aviation, military and unmanned aerial systems (UAS). Combining the capabilities of NovAtel’s GNSS expertise with Esterline CMC’s aviation and certification experience will allow the companies to bring innovative solutions to the market, meeting the requirements of new and evolving industry standards as the modern age of multi-constellation, multi-frequency GNSS positioning in aviation is ushered in, the companies said. NovAtel and Esterline CMC plan to combine their resources to deliver competitive solutions with a new standard for excellence in this application space.